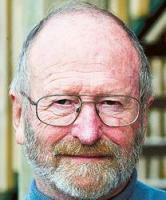 Owen McShane is chairman of the policy panel of the New Zealand Climate Science Coalition and director of the Centre for Resource Management Studies (www.RMAStudies.org.nz), a privately sponsored New Zealand-based “think tank” specialising in resource management matters. The group’s activities are funded by the Centre for Resource Management Studies Trust, which is registered as a charitable trust for educational purposes. 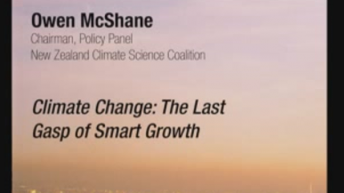 McShane has New Zealand degrees in architecture and town planning and also studied urban economics at the University of California - Berkeley towards a Master’s degree in city and regional planning. 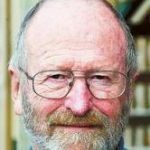 He writes a fortnightly column for New Zealand’s National Business Review, titled “Straight Thinking,” and has been published in many magazines and newspapers.